The image/chart above is my current draft for a standardized modern baybayin script. The chart below lists the keystrokes for typing baybayin using fonts. Any other character sets you'll find on your online searches that claims to be traditional or modern baybayin are most likely made-up or misleading. 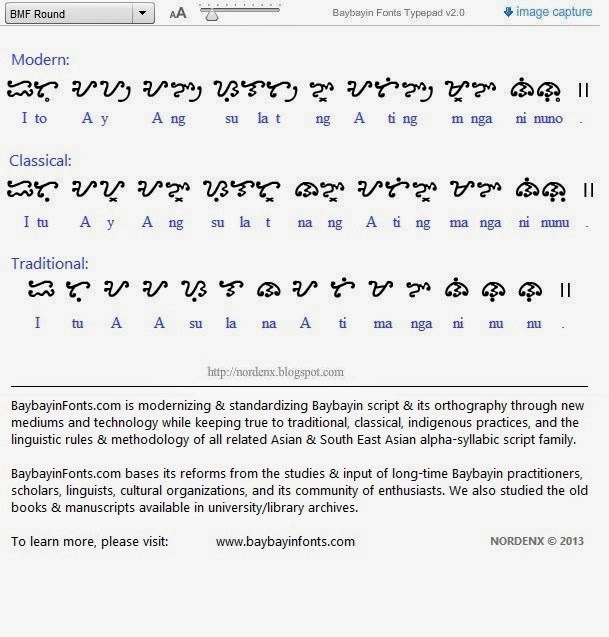 If I haven't linked or talked about them here in my blog, or you can't verify them via respectable baybayin sites like Paul Morrow's or Kristian Kabuay's, then more likely those sets are not accepted by the community of baybayin practitioners & experts. Any other sets of characters that include special individual characters for C, Q, Ch, Th, Z, J, and or Ñ instead of character combinations are suspect and most likely are made-up (conscript). 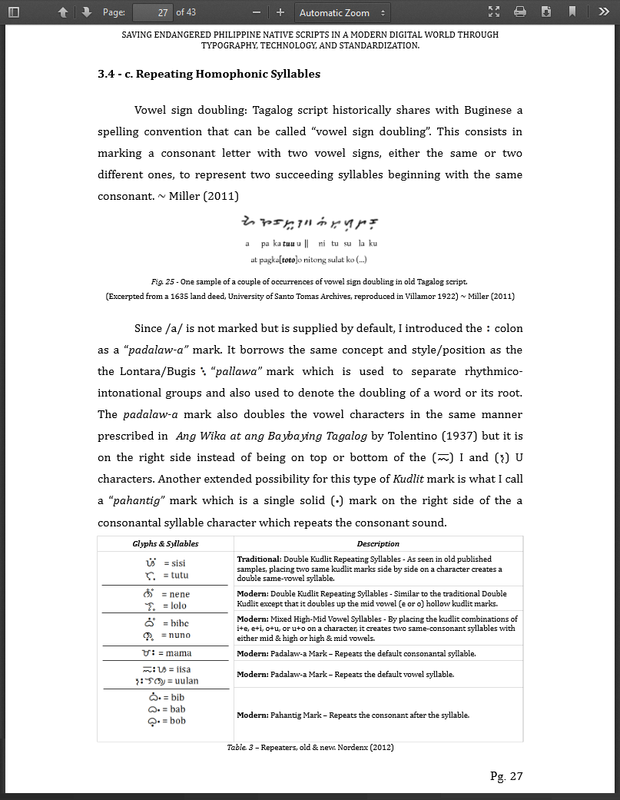 And unfortunately, we have found out that the use of the word "Alibata" as a name or description of the scripts (without including the correction & acknowledging that the real name of the writing system is actually "baybayin") is more likely to be an indicator that the information or the character set is flawed. 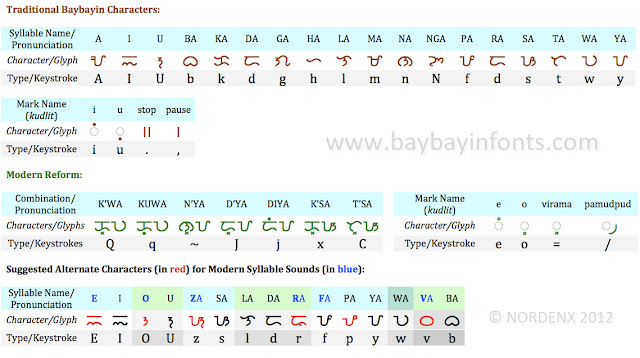 My work on the indigenous Philippine writing system is well researched (for more than two decades). It is academically backed & published, traditionally mindful, typographically sound, and community & expert approved. Sometimes, forgotten traditions are re-discovered. We make sure that these forgotten traditions are documented and revived as well as corrected. For example: the double top-down kudlit is being mistakenly used as a vowel cancellation method; there is a precedent that this is used differently by our ancestors. Instead of a vowel-killer, the double top-down kudlits are actually bi-vowel consonantal syllable repeaters: ᜊᜒᜓ = "bobi" ≠ "b"